Dr. Lidia Varbanova has professional experience in over 60 countries in Europe, Central and Eastern Europe, Central Asia, Asia and the Caucasus. Author of International Entrepreneurship in the Arts (2016), published by Routledge (New York/London) and Strategic Management in the Arts (2012) she works as a consultant, educator, coach and researcher in the areas of strategy, policy development, entrepreneurship and innovations, organisational development and online technologies, with a special emphasis on arts, culture and creative industries. Lidia is an IGCAT Board member for North America. Lidia has been a permanent and visiting professor in prominent universities and training centers in Europe and Canada and has received a number of distinguished awards, among them: Dragan Klaic European award for excellence in teaching, FULBRIGHT Program, Japan Foundation fellowship, North Atlantic Treaty Organisation post-doctoral award; and scholarship from Webb Memorial Trust, Oxford. 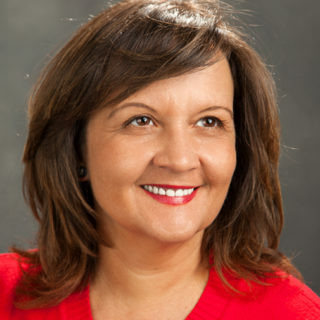 Lidia is an internationally acclaimed conference speaker and moderator, and an active member of several professional networks in Canada and Europe. She currently offers online masterclasses, organizational consulting and coaching for emerging arts entrepreneurs through her website www.lidiavarbanova.ca. Lidia also leads online workshops with the University of British Columbia and is a regular visiting professor at UNESCO Chair in Cultural Policy and Management, Belgrade and the National Academy of Theatre and Film Arts, Sofia.